This week a group of friends and I celebrated our Third Annual Friendsgiving. Friendsgiving is a dinner club meeting where we eat a pot-luck, family-style, Thanksgiving-themed feast during the week before Turkey Day. 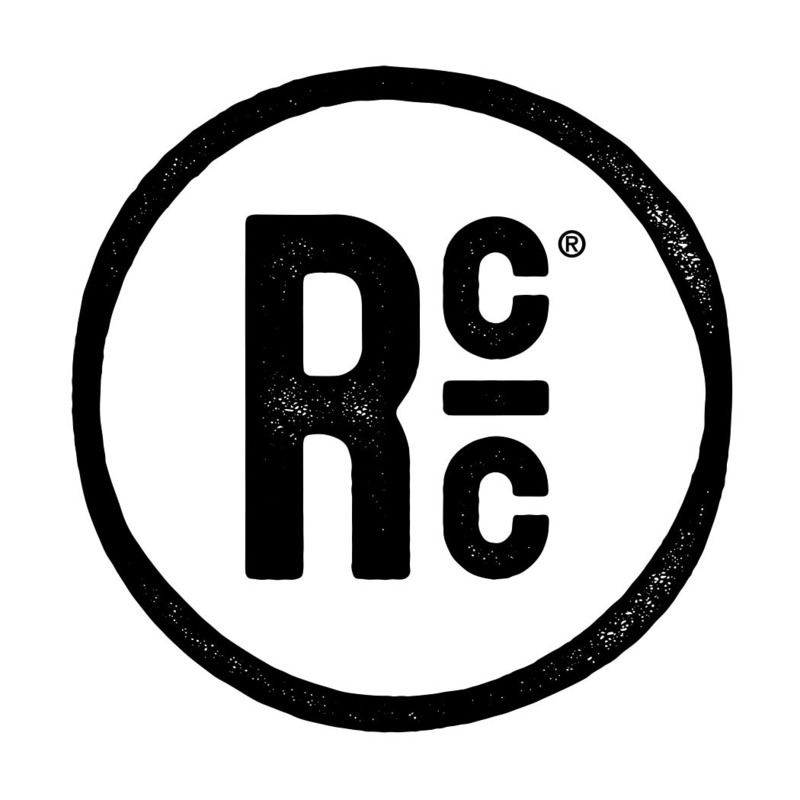 It is typically our largest dinner club gathering of the year, and it has been extremely memorable on every occasion. There will be another post about Friendsgiving, but for now I wanted to share the pear and bourbon reduction chutney that I created to top the bacon and scallops that I cooked for a Friendsgiving appetizer! I began my culinary creativity at Southside Produce where I came across a delicious display of fresh pears. Not knowing which variety of pear to choose, I went with one of each! I'm pretty happy with that decision. After doing a little more shopping I returned home to begin the cooking process. Like a lot of good dishes, I started with a little olive oil in a nice, thick bottomed skillet. I'm not much of a measurer, so I just eyeballed what I thought would be enough and put it over medium heat. I know this doesn't help for perfectly recreating the dish, but what's the fun in that anyway!? 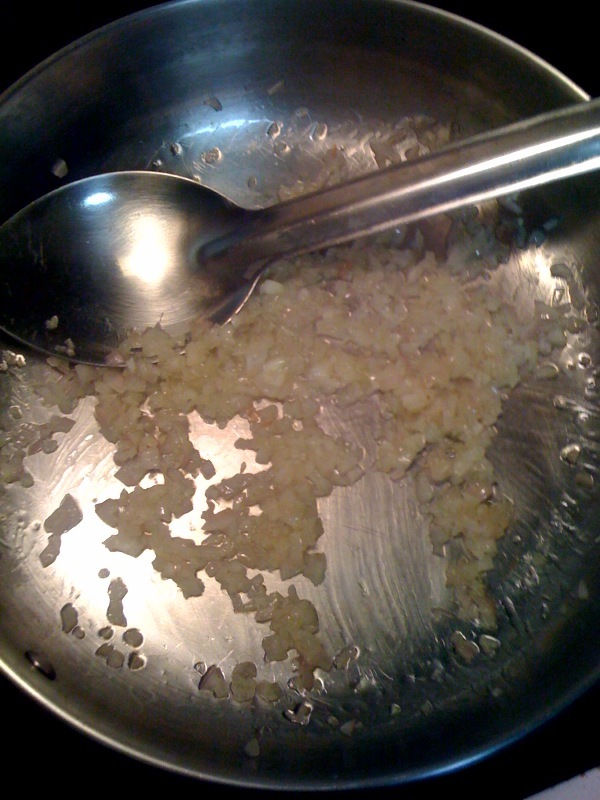 Next, I diced a few shallots to create a base for the sauce. 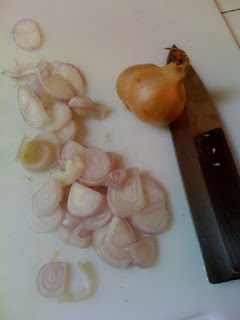 Shallots are an interesting vegetable and one that I don't use very often. I typically go with a full white or yellow onion, but this occasion seemed too special for that. I needed the mild nature of the shallot to give a little flavor to the chutney without being overpowering. Once I had the shallots finely diced I transferred them to the pan with the olive oil and let them sauté for a few minutes until the little pieces of shallot were turning clear. As soon as the shallots were cooked down enough, it was time to add the fun stuff! 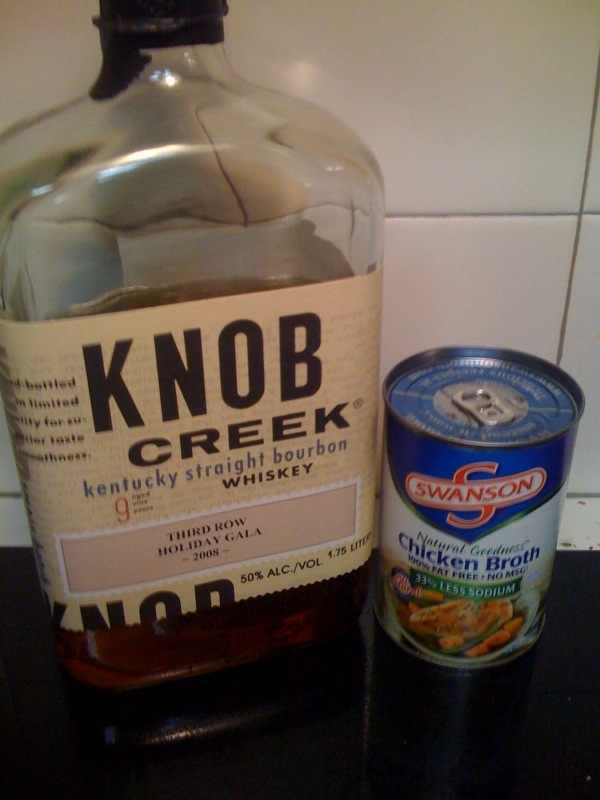 I momentariy removed the pan from the heat while I added a generous portion of Knob Creek Kentucky Straight Bourbon. Knob Creek is one of my favorite mass-produced and widely available bourbons on the market. After adding the bourbon to the pan I placed it back on the heat and then added about two-thirds of a can of Swanson chicken broth (that's about how much bourbon I used as well). 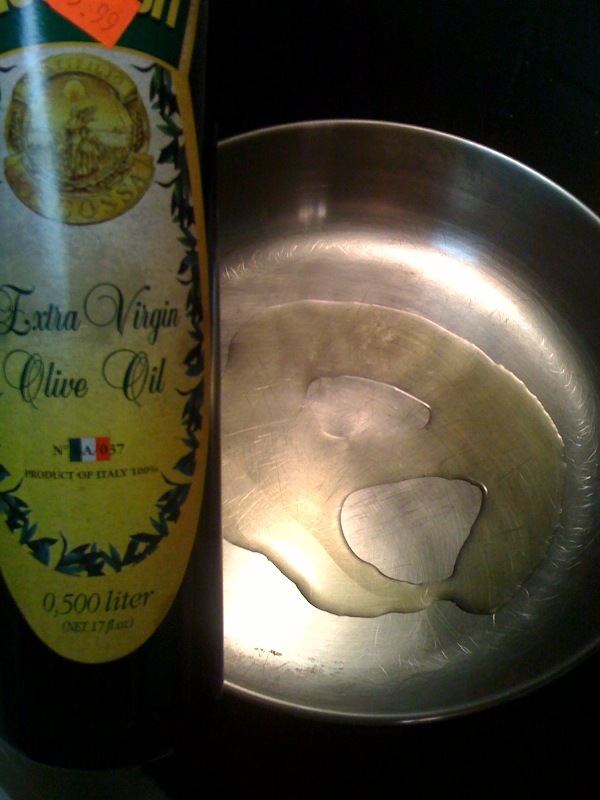 I left those ingredients over the medium heat of the burner and allowed a little time for the mixture to heat back up. 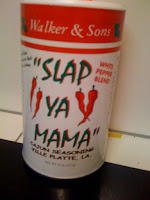 I then sprinkled in some of my absolute favorite Cajun seasoning, Slap Ya Mama! Thanks to the recommendation from Luna to include white pepper in the sauce, I used Slap Ya Mama's white pepper blend, which is fantastic and simple. For those that can't get it in your local supermarket, you can order it online! The white pepper blend contains four ingredients with no preservatives or other filler: red pepper, white pepper, salt, and garlic. The Cajun spices were followed by a fair amount of pear infused vinegar, a sizeable portion of brown sugar, and about a third to half of that small bottle of honey. 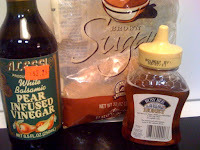 All of the ingredients were stirred together and brought to a slight boil before I added the fruit. 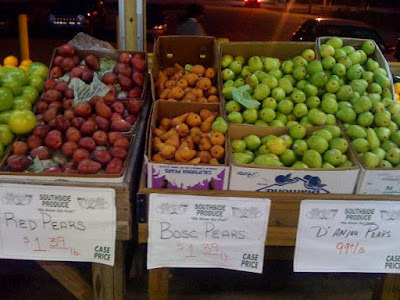 With everything above fusing in the pot, the time had come to turn my attention to the glorius pears that I selected from Southside Produce. I took my knife to the fantastic fruits, carving out their stems and seeds while leaving the juicy flesh on the cutting board. 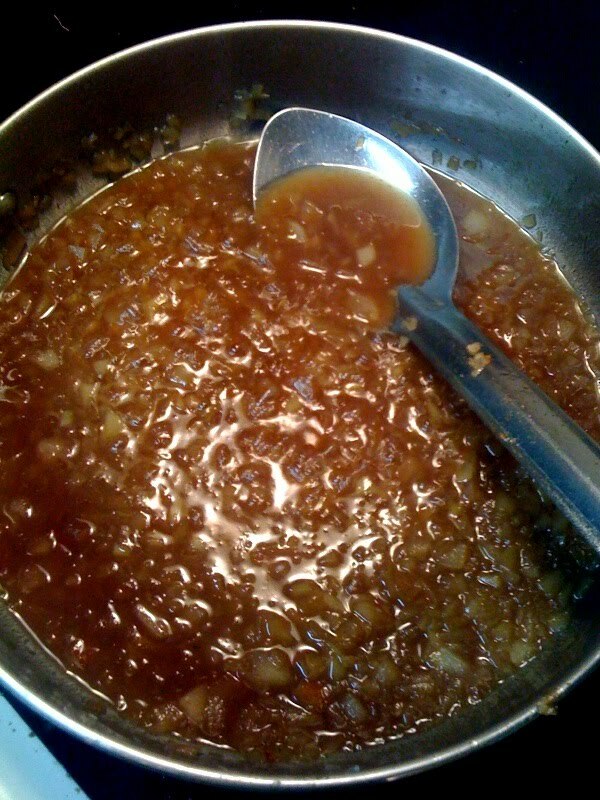 The wedges of pear were then diced into small morsels and added to the pot of simmering sauce. 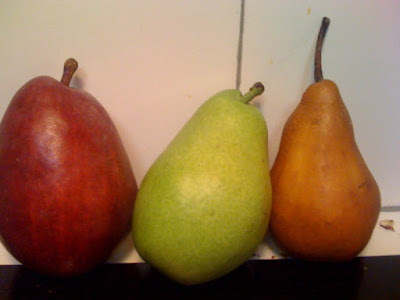 I actually only used about half of each pear in the chutney with the rest going straight to my belly! With all of the ingredients now in the pot, all I had to do was wait and stir every once in a while. I put the burner on low heat and let the flavors combine with each other while the sauce reduced to a chutney consistency. I let the mixture simmer for what was probably a full hour or more before I removed it from the heat and let it cool. I created this chutney to go over some bacon wrapped scallops that I cooked the next day for our Friendsgiving feast. For that recipe and to see the finished product with the chutney on top, you'll have to check back for the next post. As much as I like to eat, sometime I forget how much I also like to cook every now and then. If I only I had somebody to do the damn dirty dishes for me! 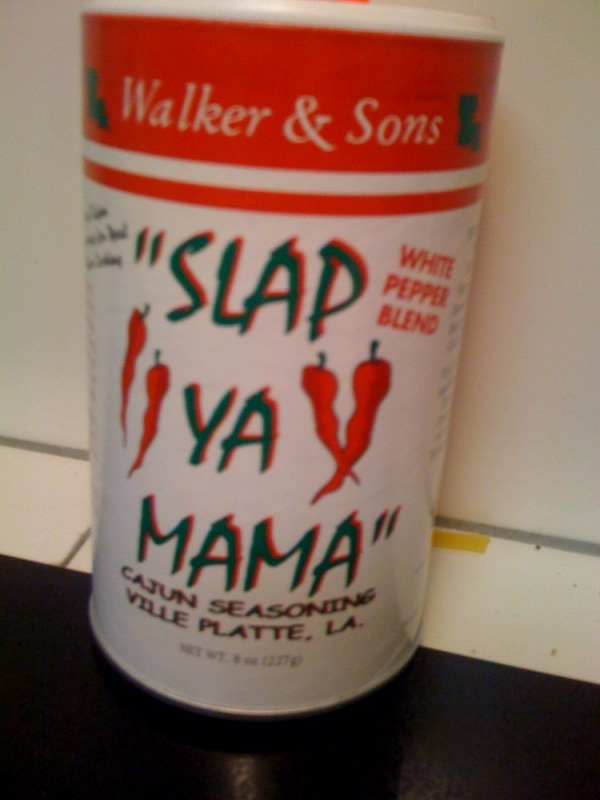 Slap Ya Mama! Yes! That's the business right there. 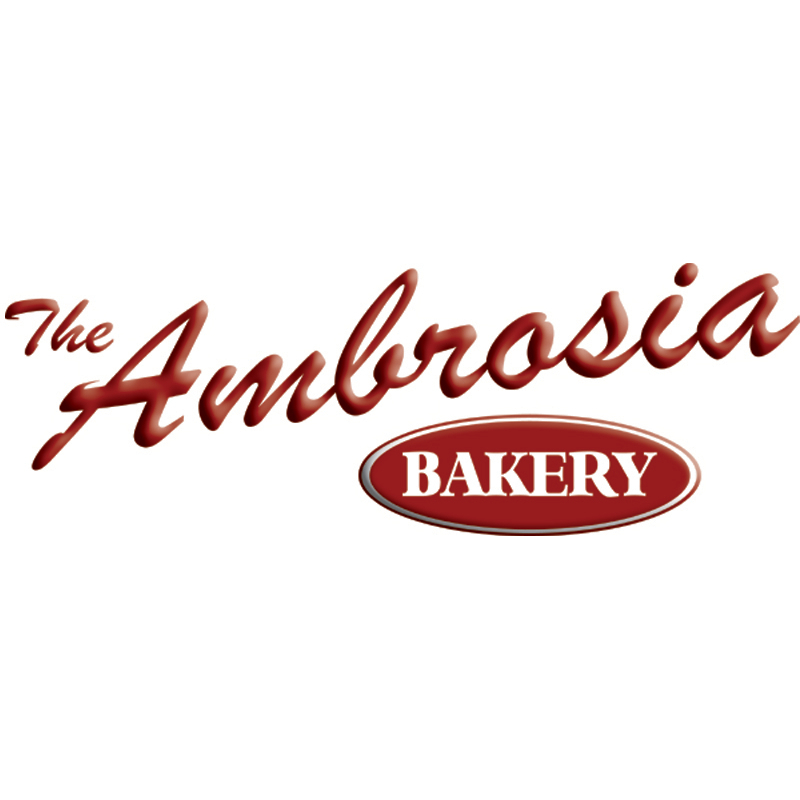 Definitely want to see the final appetizer. 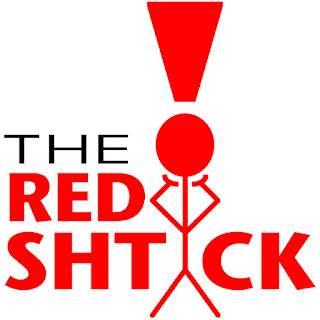 We're having a Thanksgiving potluck on Saturday, so look out for that one! 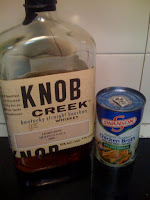 Knob Creek and Slap Ya Mamma spice...can't go wrong here. This must have been really nice with the scallops. I'm sure they were very popular at your dinner party! Everything came out pretty good. I was very happy with my first attempt at a chutney!